If you have come as far as reading the reviews for this book, I encourage you to go a step further and read the book. You’ll be very glad you did. It doesn’t matter whether you are a long-time student of the Buddha’s teachings, a relative newcomer, or someone with no particular interest in Buddhism at all. All readers will find valuable insights in the pages of this book. The book is designed as a self-study of the original basic teachings of the Buddha. It can be viewed as a philosophy of life, a definitive how-to manual for living in our often confusing and troubled times. It’s a study of the psychology of human behavior, with a descriptive outline of the way to save us from “ourselves”. Author John Haspel presents the material in a thorough and well-organized manner. His writing style is clear and to the point, with intentional repetition of significant concepts that he wants you to understand. This book has the potential to change your life for the better. It can alter the way you look at life, the way you approach daily activities, and the way you interact with others. You’ll be introduced to a way of thinking that can calm your mind, bringing both contentment and peace, as well as an understanding of the ever-elusive happiness we all seek. While the book stands on its own, I whole-heartedly recommend buying the book and taking the correspondence course. You will not be disappointed. Studied this way, each chapter includes a written exchange with the author, who will provide personalized comments and suggestions in response to your thoughts and questions. There are no “robo-responses” and you’ll be in contact with the author directly. His wisdom and insights will open you to a peaceful and satisfying way of dealing with daily life. Who couldn’t use some of that? There’s a vast amount of information offered for your enlightenment. John Haspel is an engaging and easy-going teacher who really does want you to find the way to lasting peace and happiness. If you are interested in what the Buddha actually taught, this book will provide the answers. The teachings explain the Four Noble Truths and the Eight Fold Path clearly and without cultural, spiritual or religious connotations. I highly recommend this book to anyone serious about this path. I have been a student of Buddhist teachings for many years – read many books and listened to as many teachers. Somehow, I’ve walked away lacking clarity or direction. My meditation was ok – but seemingly without results. I just kept plugging away. It wasn’t until I read John Haspel’s book, The Truth of Happiness, that the pieces of the puzzle began to fit together. John has a clear, concise way of explaining the Buddha’s teachings in a way that afforded me a number of AHA moments. I actually read the book twice – and also took the course. All of this was time well invested far beyond my expectations. John is a very special man – clearly insightful, kind and walking the talk. I’ve never had a better experience with a book of this type or a course addressing the Four Noble Truths and the Eightfold Path. I recommend it highly. Loved it! One of the clearest explanations of the Buddha’s teachings. Loved it. Clear, secular teaching of the Buddha’s dharma. John makes the teaching very easy to understand. Ghasso, Fred W.
A straightforward explanation of the original teachings that evolved to become Buddhism in all its many forms presented as 10 lessons. John strips away unnecessary ritual, religion and cultural adaptations and presents The Four Noble Truths and the Eightfold Path in a clear and direct way. This is a book that anyone interested in Buddhism and meditation will find full of insight, clarity and wisdom. I have been practicing meditation for 25+ years. It would have been very helpful to have had this book at hand back in 1990 when I first realised that the path to freedom was an ‘inside job’. No hesitation in giving the full 5 stars. John Haspel’s version of Buddhism is “teach what the Buddha taught.” No more, no less. If you are confused by Zen koans, put off by mysticism, and are not interested in turning philosophy into religion, this is the book for you. This book is a step by step plan for incorporating insight meditation and the eightfold path into your daily life. It is intended as the text book for the author’s on-line correspondence course but is still a very informative read by itself. Note I have not taken the on-line course but probably will in the near future. I have now taken John’s 10 week course (although it took me at least 3 months to complete – I didn’t want to rush it and John was very supportive of taking all the time you want). I now understand more about Buddhism than I did after 6 years of Zen study with multiple teachers. As part of the course, you send a description of your practice, understanding, and questions to John after each chapter, and he promptly responds to you with comments and answers. Part of the course also includes speaking with John 2 or 3 times, but it turns out John is more than willing to talk with you whenever you desire. 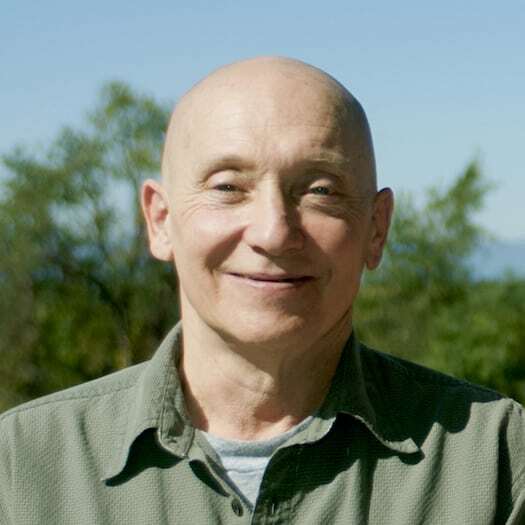 In addition, John records his 4x per week dhamma (dharma) talks and quarterly retreats and posts them on his website, where you can listen to both his presentations and the students Q&A. John has a long history of trying about every version of Buddhism out there, and he finally went straight to the Pali Canon (the earliest known record of the Buddha’s teachings) to figure out for himself exactly what the Buddha taught without the “extra” that has been added over the last 2500 years. The result is a “Theravada-like” practice that gets to the heart of the Buddha’s teachings. I would sum up John’s philosophy as “the Buddha’s teachings are meant to clear up the confusion in your life, not create more confusion.” If you current practice provides more confusion than clarity, I would highly recommend you try John’s book and course. I originally rated the book as four stars, and I think that is an accurate rating for me. However, the book and the course together certainly rate 5 stars, so I have modified my rating. This book will lead the way. I can’t talk about the book without first telling you about the course. I went to learn to meditate, I came away with a daily practice centered on meditation and strengthened by study. John Haspel brilliantly uses his book to make the study possible by using simple words to make understandable a concept that you can relate to. If you wish to understand what the Buddha said this book will lead the way. John Haspel has provided us with a step by step understanding of the Buddha Dhamma in plain English; clear, simple and direct. He takes the eight fundamental, aspects of the Dhamma, and says: “Here, see this clearly. Now look at the next piece. See this clearly. See how it integrates with the previous topic. See how these parts fit together and are mutually supportive.” All of his teaching is within the framework of the Eightfold Path, in the context of the Four Noble Truths, just as the Buddha presented the Dhamma. When the ten chapters are understood, you are not left with just a comprehensive picture of the Dhamma, but with an understanding that springs to life, that becomes a part of you, a part of your moment to moment existence. The book outlines the Buddha’s Teaching of the Four Noble Truths and The Noble Eightfold Path. John Haspel uses clear and simple language to explain Dependent Origination and The Five Clinging-Aggregates. The book is a course manual to a 10-Week Study of these teachings. It can be used for self-study alone, or online with support from the author, which has proven valuable to me. Either way, I highly recommend it! Wonderful book! Clear and very understandable. I’ve read countless buddhist books and this is one of, if not the best, guides to Buddhism I’ve read. John Haspel really cares and somehow even takes the time to email you back. I didn’t buy this book to learn about Buddhism. I bought it to enrich my life and find lasting peace and happiness. So far, so good. On the way through its pages, I have learned a simple, direct and practical approach to life. This approach has made the experience of my life richer, easier, and more authentic. John is a gem. He is very approachable and easily reached. If you are intrigued and want to know more, start with the book. The Truth of Happiness Course is a concise and no-nonsense examination of the Four Noble Truths as taught by the Buddha 2,500 years ago. I bought the book and then signed up for the course, which added another major dimension to the material in the book. In addition, the author has a most informative web presence to carry the reader even deeper into the Dhamma. This book is medicine.Read this! Engage in the practice, and see for yourself the changes in your life. It is very much beyond description. Thank You for your interest in The Truth of Happiness Dhamma Study Correspondence Course. Instructions for corresponding with John are in the course book at the end of each chapter. You can buy the correspondence course by clicking the Buy Now Button below. The cost of the correspondence course is $100. Please contact John with any questions or to discuss lower cost or no cost options.